Rick talks with Sean Tubbs, senior reporter with Charlottesville Tomorrow, about the Rt. 29 Western Bypass. Sean Tubbs joined Charlottesville Tomorrow in 2007 as its first Program Officer. Now Charlottesville Tomorrow’s Senior Reporter, Mr. Tubbs began his journalism career in 1992 while working for a Virginia Tech school newspaper. 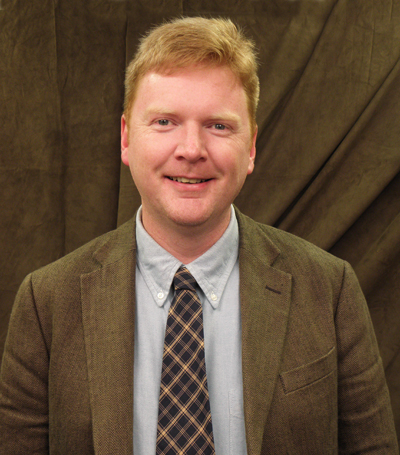 He transitioned to radio news and has worked at both non-profit and public radio stations in Virginia, including a stint as news director at WNRN. His 2001 documentary on Virginia’s Eugenics Movement won a regional Edward R. Murrow Award. Mr. Tubbs founded the Charlottesville Podcasting Network in 2005 where he pioneered the use of audio podcasts for public media in Central Virginia. Charlottesville Tomorrow held its first ever “community conversation” on January 10, 2011. Land use expert Ed McMahon with the Urban Land Institute delivered an hour long presentation about the connection between a community’s self-image and its economic performance. Read more at Charlottesville Tomorrow. At their meeting on October 19, 2010, the Albemarle County Planning Commission held a public hearing on a critical slopes waiver for a new Pantops fire station. Planning commissioner Cal Morris asked during the meeting that the station be expanded to accomodate a meeting space. Read more at Charlottesville Tomorrow. Brian Wheeler, Executive Director of Charlottesville Tomorrow, talks with Coy about media literacy, the Fontaine Research Park and the latest on the water debate. 09.07.10 Coy Barefoot, host of WINA’s Charlottesville Right Now talks a variety of local issues with Executive Director of Charlottesville Tomorrow, Brian Wheeler. 8.9.10- Richard Lloyd and Dede Smith give Coy an update on the 50 Year Water Supply Plan. Today’s topic includes discussion of the results of the latest study which shows that the Rivanna Dam is in better condition than it was assumed to be. 8.9.10- Brian Wheeler, Executive Director of Charlottesville Tomorrow, discusses his resignation from the Albemarle School Board with Coy Barefoot. Topics included Brian’s hopes for the future of the School Board. 7.19.10- Dede Smith, a representative for the group Citizens for a Sustainable Water Supply Plan, talked with Coy Barefoot about Dredging the Rivanna River. The latest reports will be announce tomorrow night at City Council. 7.12.10- Brian Wheeler, of Charlottesville Tomorrow, updates Coy Barefoot on growth and development for the county. Topics include the best pie in the state, the Board of Supervisor’s Action Plan for economic growth, and possible traffic patterns for the 250 bypass and 29.